A photo of an Iranian mother and her child swimming in Lake Urmia in northwestern Iran was selected by Instagram as its photo of the day. The photo was taken by the Iranian photographer Majid Saeedi. 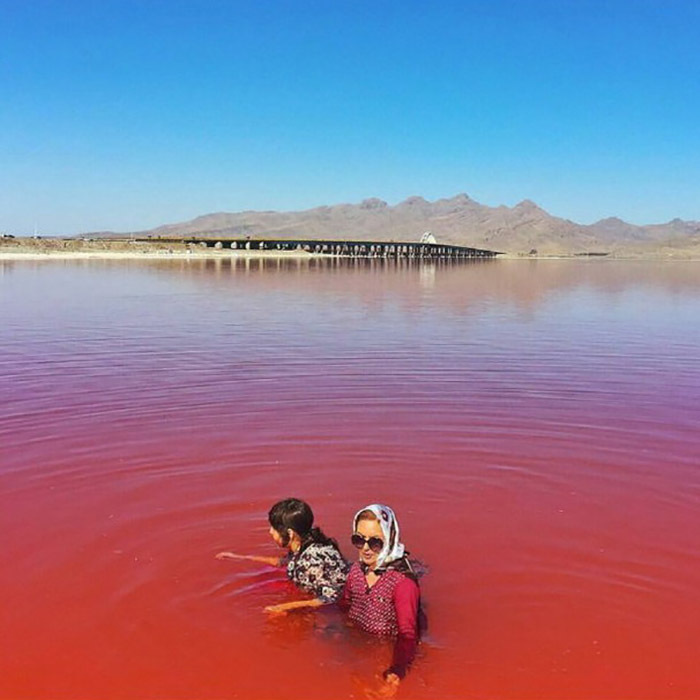 “An Iranian woman with her daughter, both wearing Islamic Hijab, playing in the remnants of Lake Urmia in northwest of Iran; the Lake is one of the world’s largest salt lakes,” Saeedi said in his description of the photo. 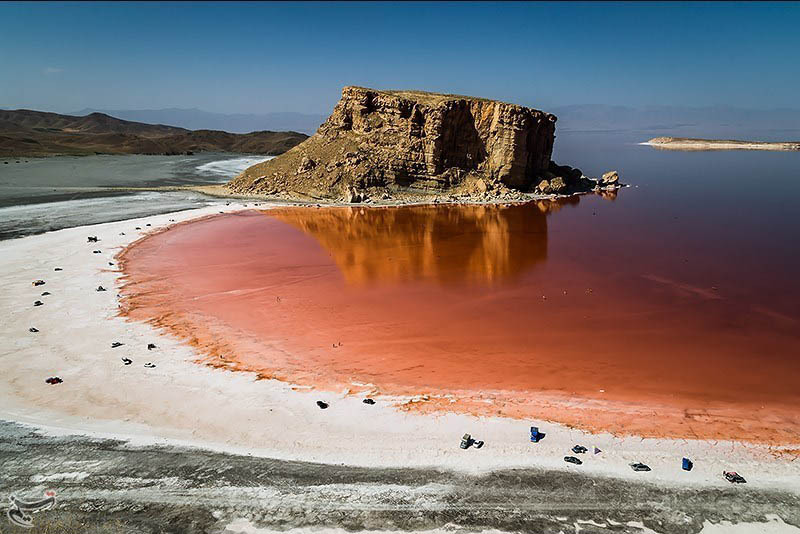 “The red colour of the water is because of Halophile bacteria, which produce pink-red pigments in very salty waters,” he went on to say, as reported by ISNA and translated by IFP. Saeedi was born in 1974 in Tehran. He started photography career when he was 16. He was 18 years old when he went to Iran-Iraq border for photography. His photography project ‘Life in War’, which is focused on the lives of Afghan people after the country’s war, has won several prizes in different events.